It is Black Friday for Amazon India and Walmart-owned Flipkart as the way they conduct business has changed forever. The newly renamed Department for Promotion of Industry and Internal Trade (DPIIT) on Thursday made it clear it was not going to give firms any extension to the February 1 deadline to comply with the conditions contained in the Press Note 2 on FDI Policy in e-commerce. 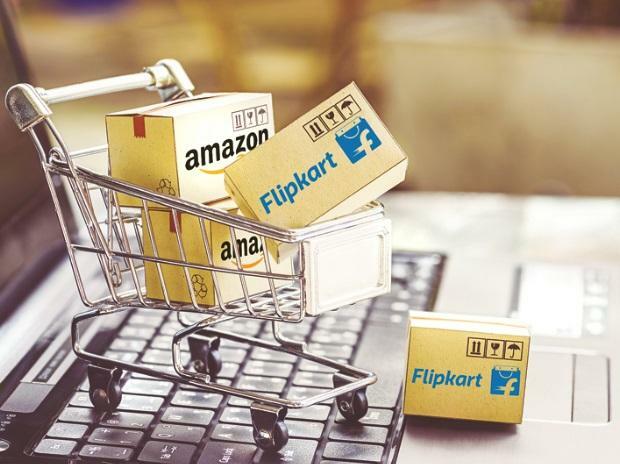 The biggest casualty, sources said, would be e-commerce platforms, including Cloudtail, a JV between Amazon.com and Narayan Murthy's family office Catamaran Ventures, and Appario Retail, a wholly-owned subsidiary of the JV between Amazon India and Ashok Patni. After weeks of lobbying with the erstwhile Department of Industrial Policy and Promotion (DIPP), NITI Aayog, finance ministry officials and Commerce Minister Suresh Prabhu, Amazon India and Flipkart lost the battle to traders and wholesalers who were vehemently against deadline extention. “The department had received some representations to extend the deadline to comply with the conditions contained in the new FDI Policy. After due consideration, it has been decided, with the approval of the competent authority, not to extend it,” the DPIIT said. The e-commerce firms would not be able to have a select few sellers on the platform in which they have stakes in, directly or indirectly. In the case of Amazon India, it would have to completely stop featuring Cloudtail and Appario as sellers. According to experts, this completely changes the way firms work. “Since Press Note 2 of 2018 envisages substantial internal restructuring to ensure that the sellers on such portals are disconnected from the e-commerce entity or its group firms, firms who may have not revisited their group structures in the hopes of an extension will now be in non-compliance,” said Atul Pandey, partner at Khaitan & Co. According to smaller e-commerce firms, this move would help them in creating a level-playing field. “It sends strong message to the violators that legal jugglery, exploiting loops holes and in general disregard for the law will have to stop now. Today, millions of MSMEs can breathe a sigh of relief,” Sanjay Sethi CEO and Co-Founder, ShopClues. Confederation of All India Traders (CAIT), which has been since last year vehemently opposing any move to extend the deadline, said that the policy needs to be implemented strictly.